Congenital heart disease (CHD) is a common chronic disease. 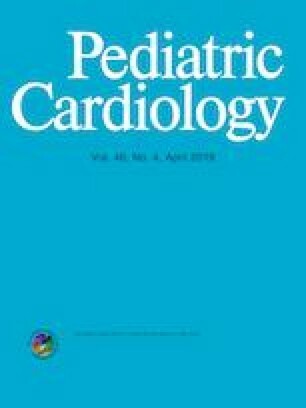 This study aimed to verify the relationship between spirometry and exercise capacity in children, considering the CHD severity. All cardiopulmonary exercise testing (CPET) and Spirometry from CHD children (5–18 years) were retrospectively reviewed during three years. CPET and Spirometry were analyzed and correlated based on the CHD severity[modified Ross classification (mR)]. Patients (n = 321) were analyzed and subdivided for CHD severity (n = 49, n = 149, n = 80, n = 43, from mR1 to mR4, respectively). The maximal workload (Wmax) in mR1 and mR2 was higher than in patients from mR3 and mR4. Peak oxygen uptake (peak VO2) was reduced in mR3 and mR4 compared to mR1 and mR2. Carbon dioxide output was only significantly lower in mR4. Although spirometric parameters were globally in the normal range, forced expiratory volume and forced vital capacity were different between subgroups (p < 0.001 and p = 0.002, respectively). Wmax and peakVO2 were weakly or moderately but significantly correlated with spirometry. Respiratory exchange ratio and final blood oxygen saturation were only significantly and weakly correlated to obstruction in small airways. The most severe CHD patients had lower exercise capacity and lung function parameters. A weak to moderate correlation between CPET and spirometry was found. However, the lung function reported in our study was normal, but with a negative correlation with the age. It reinforces the benefits of precocious and regularly spirometry and CPET assessment in CHD children.